It was almost midnight on a summer Wednesday in 2015 when Hu Xiumin was jolted awake by a loud noise. Her apartment building in the affluent Harbour City development was shaking violently. She ran from the bedroom to find her husband standing in the study, looking out of the window. From here they could see out over the port of Tianjin; one of the warehouses was on fire. They backed away from the window just moments before the warehouse exploded in one of the worst manmade disasters in China’s history. Although Hu and her husband were unscathed, 173 people died at Ruihai International Logistics, a warehouse that was storing thousands of tonnes of hazardous chemicals. Hundreds more people were injured and thousands displaced on 12 August. Videos of the explosion went viral on social media. To the world, the tragedy became known as the Tianjin explosion. To locals, it’s 8/12. 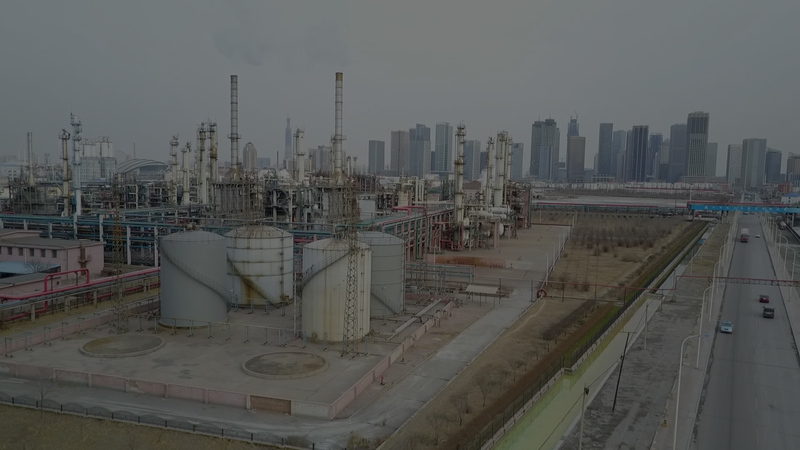 But the explosion also underscored a dilemma at the heart of China’s unprecedented economic boom: the chemical industry is critical for the country’s growth, but that growth is also fuelling rapid urbanisation. This is pushing residential areas closer to active chemical sites – like in Tianjin. This port city of 15 million people, a short train ride from Beijing, attracts hundreds of thousands of new residents each year. Most move to the city’s outer edges, where industrial plants were built decades ago. Some of the chemical sites, now surrounded by new suburbs, have dangerously lax regulations. One Chinese law mandates that chemical storage facilities, such as Ruihai, be located at least 1,000 metres from public spaces. But the rule is routinely violated, and the country’s complex regulatory regime – sprawling across national laws, local regulations and a myriad of often contradictory industry-specific guidelines – is at best patchily enforced. The 1,000m rule, for example, was first introduced in 2001, but was amended only three years later by the administration of work safety, which made it optional under certain circumstances. Then, in 2008, a report co-produced by the government’s hazchem and firefighting departments declared that “the 1,000m requirement is unrealistic, which made it hard to implement”. The breach of this rule is one of the reasons the Tianjin explosion was able to cause such damage. Thousands of people were living within the mandated buffer zone without knowing the risk. In the wake of the explosion, citizens, activists and officials began to raise questions about other chemical sites near residential areas. “I think the Tianjin explosion is a reckoning call for the public,” says Ada Kong, the director of Greenpeace East Asia’s toxins campaign. Tianjin’s dilemma is encapsulated by a neighbourhood along the Hai river in the Tanggu district. The main street is lined with a canal of toxic green runoff from the Tianjin Dagu Chemical works, the foul stench of which hangs in the air. But in the small streets alongside it, vendors are selling fruit as mopeds zip by. At a nearby school, two girls with pink hair bands are crouched collecting dirt with their bare hands. The plant was once more or less in the countryside. Over time, however, the city has grown around it. Now residential neighbourhoods are a stone’s throw from the factory’s fetid tailing ponds and smokestacks. Dagu Chemical uses vinyl chloride in the production of PVC, a common plastic. A leak in the vinyl chloride storage area lasting only 10 minutes could poison residents up to two miles away, according to one risk simulation provided by a former engineer who worked at the plant. The effects of being exposed to vinyl chloride range from mild (such as headaches and dizziness) to liver damage and cancer, depending on the duration and intensity of the exposure. According to Neal Langerman, an industrial chemical safety consultant who verified the assessment, it is possible to have chemical sites in relative proximity to residential areas without danger. However, he says, “their process management really has to focus on prevention. You literally have to assume something is going to go wrong.” Langerman has not personally been to Tianjin Dagu Chemical, so he could not comment on the safety of the site. But this is not a theoretical concern. Recent PVC plants exploding in Louisiana, US, Ulsan, South Korea and Coatzacoalcos, Mexico have caused dozens of deaths and millions of dollars worth of damage. Safety prescriptions vary wildly among regions and countries. Unlike China’s 1,000m rule, the Netherlands, for example, uses risk assessments to figure out the probability of different scenarios and help decide how far chemical sites should be from public areas. Chinese workplace safety laws encourage a culture of damage control over prevention, says Mimi Zou, an expert in Chinese employment law. “The regulatory approach has been to just respond when there’s been an accident, but obviously that doesn’t address all the risks involved … prioritising damage control over preventive [measures] just means that you’re not really addressing the root of the problem. In the case of Tianjin Dagu Chemical, regulators have stepped in to announce that the threat posed by the plant to the nearby residential areas is too high, and a multi-billion dollar effort has been launched to relocate it (with another factory called the Tianjin Chemical Plant) to an industrial zone in the south of the city by 2020. Even after the move, the health and safety problems will be far from over. The contaminated land will require thorough soil remediation, which, until recently, has largely been shirked in China. Last year Beijing formally introduced a clean soil policy that Greenpeace’s Kong describes as the country’s “first ever … at a very high level”. It came into effect after a tragedy at a school in Jiangsu province last April. In an incident that has been compared to the infamous Love Canal disaster in Niagara Falls, New York State, nearly 500 students from the Changzhou Foreign Languages School fell ill. Children reported experiencing nose bleeds, flaking skin, rashes, coughs, and in the worst cases leukaemia and lymphoma. 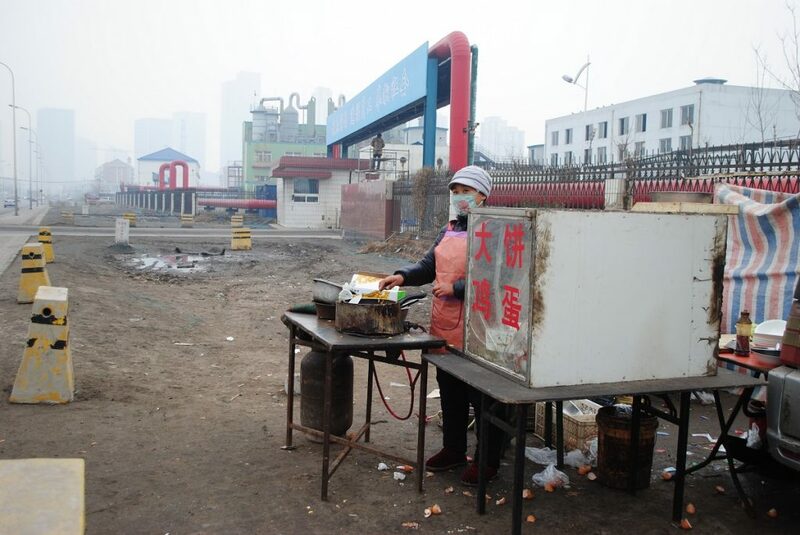 Their school campus was found to have been built on the site of three chemical factories: Jiangsu Huada Chemical Group, Jiangsu Changyu Chemical and Jiangsu Changlong Chemicals. These companies had been on the outskirts of Changzhou until the city expanded. In 2010 the city began a massive relocation effort, but the land left behind was deeply contaminated, reportedly containing chloroform, tetrachloride and worst of all chlorobenzene, a chemical linked to kidney, liver and brain damage. Chlorobenzene was present at 10,000 times the national standard, despite reportedly passing environmental assessments. 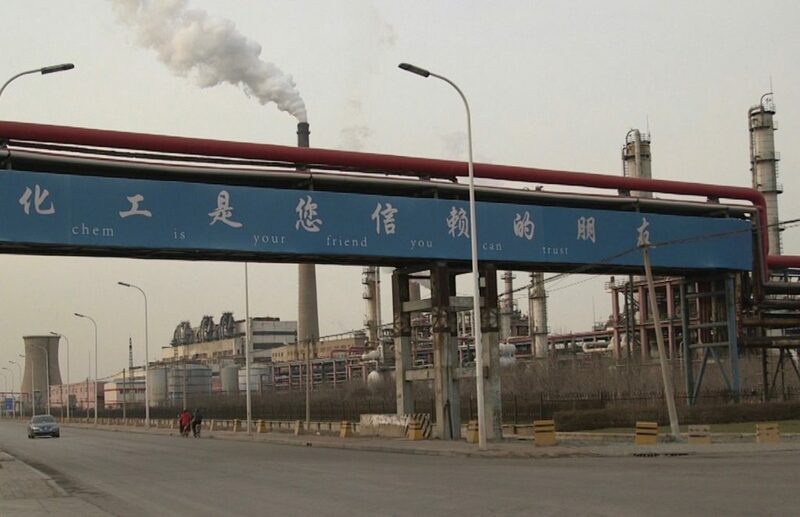 After this incident, two Beijing NGOs, the China Biodiversity Conservation and Green Development Foundation, along with Friends for Nature, sued the three chemical companies. However, in January 2017 a court ruled that the companies would not have to pay compensation or apologise. The defendants argued that although the land was contaminated, the pollution had not “harmed the public interest”, and that “the goal of the lawsuit – to prevent pollution and further damage – is gradually being achieved”. The NGOs are planning to appeal. Despite a growing environmental movement in China, chemical pollutants are “not something that people can see like air pollution”, says Kong. It is likely that the issue gained exposure and was able to be linked to brownfield pollution because the poisoned students were attending a relatively affluent school with parents who could complain to the government and the media. After witnessing the Tianjin explosion from her window, Hu decided that continuing to live in Harbour City was no longer appealing. “Personally speaking, I don’t want to live there. I want another environment,” she says. Her concerns made a nearby experiment appealing: the Tianjin Eco-city. This urban planning project, jointly funded by the Chinese and Singaporean governments, has been built on formerly polluted marshlands and features solar panels and windmills peeking through the skyline. The community is designed to be walkable, the public transportation is free and, best of all, there is no chemical facility in sight. So far about 50,000 people call it home, although it will eventually have the capacity for another 300,000 residents. Experiments like Eco-city can only ease Tianjin’s growing pains so much. Not all residents who live dangerously close to chemical sites can afford to move, let alone to affluent communities, which means that other virtual powder kegs remain scattered across the country.